The International Computer Music Conference (ICMC) is the preeminent annual gathering for computer music researchers and practitioners from around the world. Its unique interweaving of research paper presentations and concerts of new computer music, refereed by ICMA- approved international panels of experts, creates a vital synthesis of science, technology, and the art of music. Since 1974, the ICMC has been the premier international forum for the presentation of the full range of outcomes of technical, theoretical, and musical research. 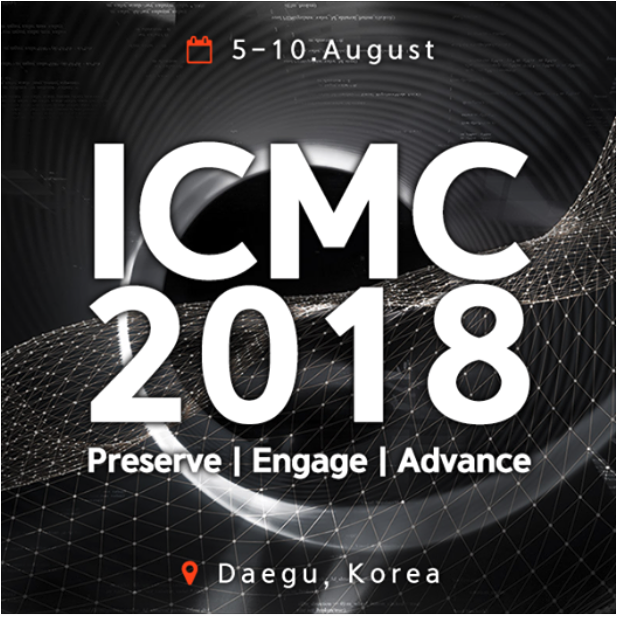 The conference travels the globe every year, and for the 2018 ICMC (August 5-10, 2018), we welcome the community to Daegu – where we will meet in South Korea for the first time since its launch in Michigan 44 years ago. This year's ICMC theme Preserve | Engage | Advance broadly considers the diverse field of computer music which we have taken to heart through two programs: Soundscape Heritage and Computer Music Heritage. Both programs address elements of our theme whereby each involves a campaign that aims to preserve, engage, and advance the study of soundscapes and computer music.